“Innovate or die,” are the long-quoted, immortal words of New York Times technology editor Damon Darlin. Since organizations began to rely on computers and software systems to simplify sales and operations, countless business software applications have been developed, deployed and integrated. 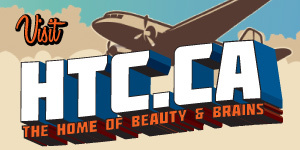 Announcing the Launch of the HTC Beauty & Brains Blog!